We’ll admit, we love pulling from Deloitte’s Board Best Practices Report. Every few years, Deloitte surveys directors sitting on boards in various industries to gauge their practices and priorities. The tenth edition of their report surveyed board members in 2016. A portion of that survey was dedicated to learning how boards are handling their risk oversight responsibilities. As we can see in the chart below, boards in the financial services industry are a bit more thorough in their coordination of risk oversight activities. 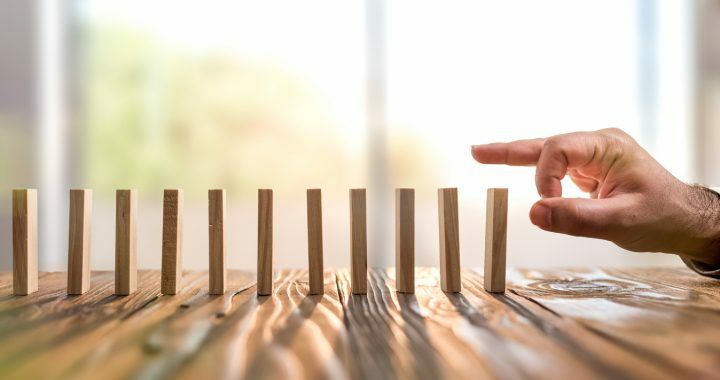 To recap, 55% of directors in the financial services industry said they have detailed discussions regarding risk oversight at their full board meetings, 50% said they share committee materials, 45% have cross membership between risk-related committees, 13% repeat presentations on risk at multiple committee meetings, 21% have joint meetings, and only 11% said they don’t share risk oversight activities between committees. The breakdown of these percentages would suggest that bank boards are being very thorough in their approach to managing risk oversight. However, we need to know more. Thorough committee coverage of risk oversight is not enough to hang one’s hat on. It means little if a board is not making good use of their resources. Bank boards can discuss risk all they want, but proper oversight requires collecting information, forecasts, expert insights, etc. and using these elements to guide effective decision-making. To truly gauge whether bank boards are equipped to manage their risk oversight, it would help to understand the type of risks banks are assessing. Luckily, board members working in the financial services industry were asked just that. These results are not surprising in the least. Cybersecurity and financial risks are, of course, two of the biggest risks bank boards must face. It is interesting to note that 39% of financial services directors listed reputational risks in their top three. A bank’s reputation is often hinges on managing other risks effectively. If a cybersecurity breach, data leak, or a bad financial decision receives media attention, your reputation is suddenly on the line. This emphasis on reputational risk may suggest that, for 30% of financial institutions, the fallout from unsuccessfully managing cybersecurity, legal, or financial risks is more important than risk oversight on fraud, geopolitical, natural disasters, or environmental risks. What Can Banks Boards Do Better? It’s clear that bank boards are very thorough in their approach to risk oversight. However, there’s always more to be done. When thinking about what bank boards could be doing better, we look at their biggest risks: cybersecurity, legal, and financial. All three of these risks can be mitigating through guidance from experts in each area. One of the best ways to gather expert opinions is through a Delphi study. In these studies, a committee designates a moderator to to administrate a series of surveys to a panel of experts whose identities are made anonymous to the board in order to mitigate bias. Each round of surveys targets more closely into a small handful of solutions which the panel is asked to discuss and debate. Delphi studies provide a structured route to evaluating the best options when avoiding any kind of risk. Beyond the opinions of experts, evaluating options based on well-organized data is important. Implementing a quality board software can go a long way towards making more informed, effective decisions. 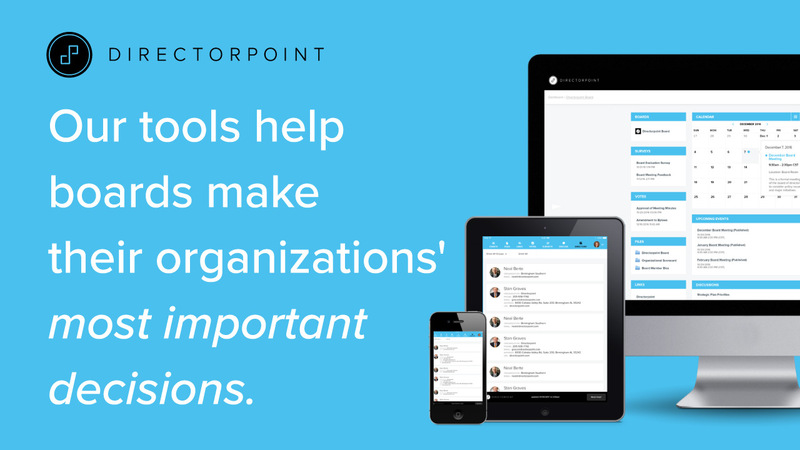 Directorpoint’s board portal allows you to easily organize and search through a large amount of information. Our search capabilities allow bank boards to search for a single word across pages of information and provides a scrollable slider to quickly flip through pages to find what you’re looking for. This comes in handy particularly for bank boards, whose board books are typically larger relative to most other industries. To schedule a demo of our easy-to-use board management software, click here. You can also contact Directorpoint online or over the phone at (888) 492-7020. Posted in Blog and tagged Bank Boards, Banking, Banks, cyber attack, cyber hack, cyber security, cybersecurity, risk, risk management.